All children learn differently. Some learn through listening, seeing, or experiencing an academic topic. Most times, children learn the best with hands-on, minds-on experiences. Science, technology, engineering and math experiences can be introduced or extended with a good book. 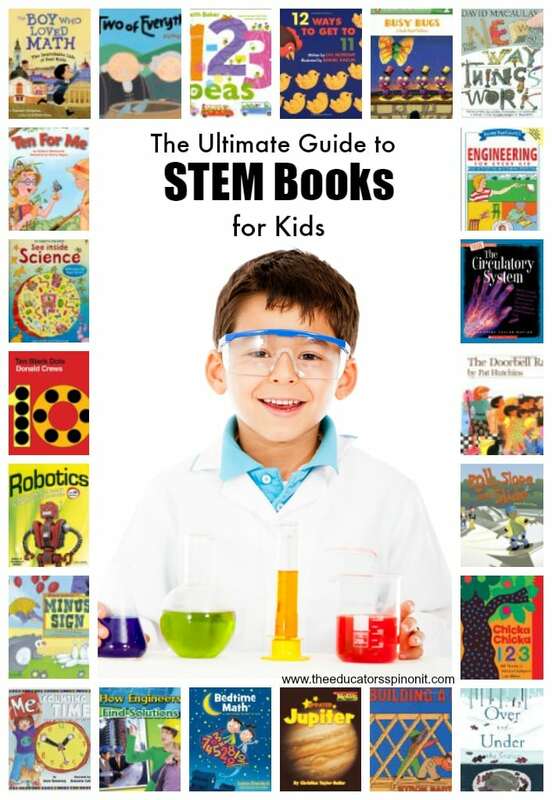 Here is the most comprehensive STEM Books for Children list. Discloser: Amazon affiliate links used in this post. STEM books for children can connect with your child’s current academic program and provide enrichment to the current curriculum. 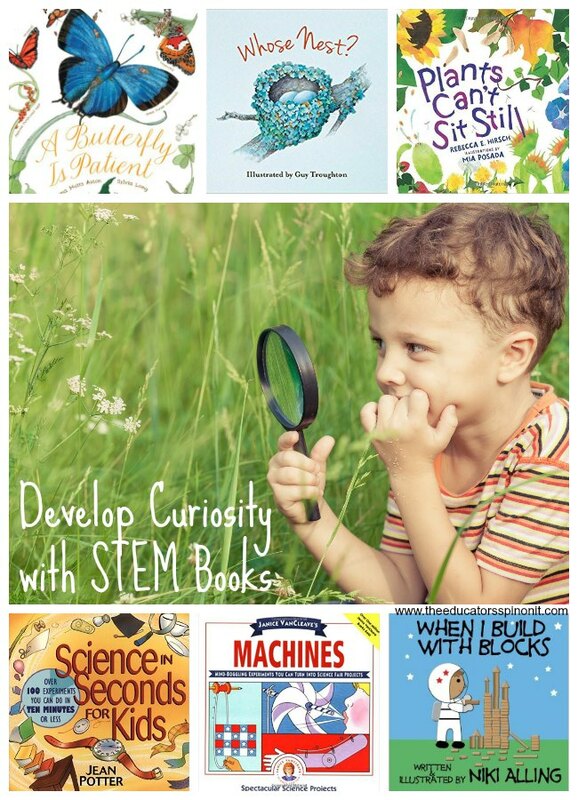 These STEM books are great for teachers, home-schooling families, and parents. Sometimes, reluctant learners may “get” a concept when it is told through a story, rather than through a classroom lecture. Books can also challenge gifted learners to expand the depth and breath of their content area knowledge. I suggested paring a book with a craft or hands-on activity to get the most out of your STEM experience. Whatever the reason you choose to read to your children, it is SO important for vocabulary development and adult interactions. Not only that, but I believe that all children should have access to a good book! Consider purchasing a STEM book and donating it to a local school or daycare facility in your area. I am a licensed, certified K-12 Reading Teacher, with my Masters, National Board Certification, and 5+ years of classroom teaching experience. I own almost half of the books in this list and have checked the others out from the library to read with my own children. As all children are all different, make sure to click on the image of the book to read the full description and age recommendation to see if the book would be right for your child. Explore the planets, connect with nature, peer into a microscopic organism, with these science books, you can have all sorts of adventures! Click on the picture to read more about the book. For even more Science Book ideas, click on the book, scroll down and look at the books in the “Frequently Bought Together” and “Customers Who Bought This Item Also Bought” area. Technology is consistently changing and printed material does not seem to catch up as quickly. My favorite stories to read with children are books that compare then and now. These stories help children see how technological advances have helped to make life better, do jobs faster, and change the way we live and work. For even more Technology Book ideas, click on the book, scroll down and look at the books in the “Frequently Bought Together” and “Customers Who Bought This Item Also Bought” area. Engineers want to figure out how and why things work the way they do. They solve problems in our everyday lives, often coming up with multiple solutions and selected the best possible option. This collection of books encourages children to build, construct, design, and create using everyday objects and simple machines. Click on the picture to read more about the book. For even more Engineering Book ideas, click on the book, scroll down and look at the books in the “Frequently Bought Together” and “Customers Who Bought This Item Also Bought” area. From learning to count, measuring, fractions, multiplication and everything in between, this collection of math books is sure to help your young learner get excited about everything MATH! Click on the picture to read more about the book. For even more Math Book ideas, click on the book, scroll down and look at the books in the “Frequently Bought Together” and “Customers Who Bought This Item Also Bought” area. Read and Do STEM E-Books for Preschoolers. This set was designed for children ages 3-5 who are highly motivated by screen time. The goal is to use mobile devices as a way to keep motivation high for learning to read simple text with an activity at the end that encourages children to stop screen-time and do a hands-on activity. SNAKES: A Read & Do STEM Early Reader introduces NEW readers to independent reading with a high interest topic – snakes! Simple sentences let even the youngest reader feel confident reading on their own. A science challenge at the end encourages children to draw and write about snakes. High frequency words: some, have, a. Community Helpers, A Read & Do STEM Early Reader introduces NEW readers to independent reading with a high interest topic – community helpers! Simple sentences let even the youngest reader feel confident reading on their own. A technology challenge at the end. Sight words included: A, can, help, and they. Trucks, A Read & Do STEM Early Reader introduces NEW readers to independent reading with a high interest topic – trucks! Simple sentences let even the youngest reader feel confident reading on their own. A math challenge at the end encourages children to learn and play with toy trucks. 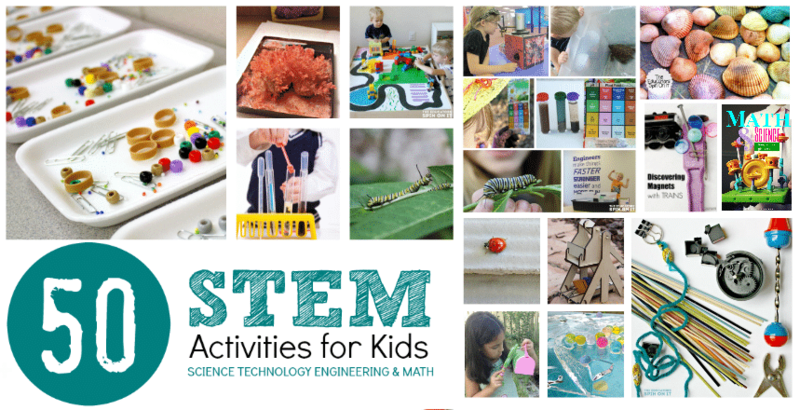 STEAM: Preschool Activities for STEM Enrichment is the traditional STEM, science, technology, engineering, and math + Art. This ebook is packed with creative ways to integrate STEM disciplines into everyday fun and learning for preschoolers. This ebook is for you if you have a child or teach children around three-to-five years old and you are looking for ideas to integrate science, technology, engineering, art, and mathematics into every day play and learning. The ebook includes 30+ Hands On Minds On activities to compliment and enrich preschool learning. Read the 5 Star Reviews here. STEAM: STEM Activities for Christmas is a collection of 20 Simple and FUN learning activities for teaching science, technology, engineering, art, and math principles to young children this holiday season. Encourage your child to design, build, create, and explore with paint, Christmas trees, Santa hats, digital cameras and more! The STEAM activities are easy for busy parents and teachers of preschoolers to prepare and implement. Each includes learning objectives, activity extensions, and teacher notes. The wide variety of activities presented are crafted to appeal to a range of ages, interests, and abilities. Fizz, Pop, Bang! Playful Science and Math Activities is a collection of 40 ideas for children aged 3 to 8, with twenty printable resources (inc. math and science graphing and recording sheets, magnet maze, monster match and sort game, print and build 3D solid blocks, rocket math game, tracing shapes, fact family dominoes, catch and count fish game, and engineering challenge cards) and with additional links to over 80 more activities Purchase your digital copy of this amazing resource through E-junkie here for only $9.99! Make a list of the books you want to share with your child. Stop by the local thrift stores and used books – start gathering a collection for your home library. Purchase your absolute favorites as gifts to give a child. Donate a STEM book to a local school or daycare facility. Great recommendations! Anything in MathStart series by Stuart Murphy is great. Love this list. Using it for my Christmas shopping. What an awesome list — totally perfect for Christmas shopping and for my library list. What a great list! Thanks for sharing at STEM Saturday! Do you have a lexile levels list handy for your STEM book list? Thank you! No, but I am working on creating a printable list. Will include the Lexile levels! Your list is simply brilliant. Thanks for all your hard work making it easy for mums like us to buy the best for our kids.